Doha, Qatar – Sasol, the international integrated energy and chemical company and Friends of the Environment Center (FEC) marked the conclusion of the two month long ‘Qatar e-Nature’ schools contest with an awards ceremony at Sharq Village and Spa where the grand prize was two tickets and an all-expense paid nature trip to South Africa, home base of Sasol. 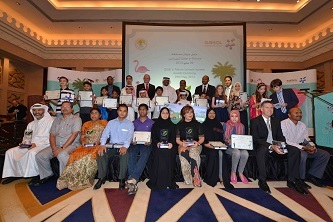 The schools contest was based on the ‘Qatar e-Nature’ app – a first of its kind smartphone application that highlights the rich diversity of Qatar’s environment, including plants, birds, and insects. Sasol and Friends of the Environment Center collaborated on the development of the bilingual application, which features content in Arabic and English. It aims to support the objectives of Qatar National Vision 2030 by promoting sustainable development through an environmentally aware population. Over the two month period, 162 schools were visited reaching more than 159,000 students informing them about the application and encouraging them to take part in the contest. The grand prize winner was Saoud Hassan Mahdi Alhaddad from Alwafaa Model Independent School for Boys. The school with the leading number of entries was Ahmed Bin Mohammed Secondary Boys School. Twenty-two winners were in attendance on the evening to receive their awards. Representatives from the Ministries of Labour & Social Affairs, Youth & Sports, Environment, as well as the Supreme Education Council attended the ceremony. “Sasol’s commitment to the environment is consistent with the responsibility we have toward the communities in which we operate. With the Qatar e-Nature contest, we are delighted that we have been able to contribute towards a better appreciation of nature in Qatar. We look forward to continue building on the app, to include more categories in the coming months,” said Marjo Louw, President, Sasol Qatar. During his time in South Africa the seven year-old Saoud and his companion will enjoy a nature immersive safari experience at the Kruger National Park located in the Mpumalanga province and spend time in the famed Lesedi Cultural Village, a village located in the Gauteng province. There they will experience the cultural traditions of the people of Southern Africa. Saoud will also visit the vibrant cities of Pretoria and Johannesburg. 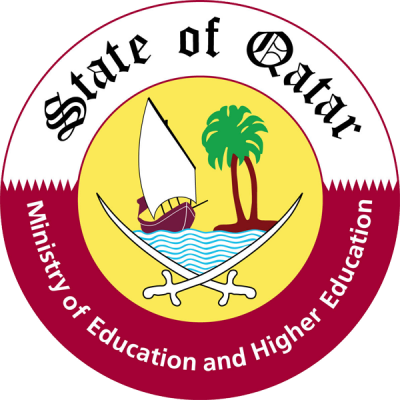 The contest was open to all students enrolled in schools in Qatar from grades 1 to 13. Students were encouraged to find the correct answers to questions about birds, insects and plants by browsing through the app content. In addition to the Q&A, the contest featured an optional photography competition, where participants could submit a photo of a bird, plant or insect taken in Qatar with his or her smart device. The audience at the ceremony was regaled by a nature inspired performance by South African drumming talent Patrick & Company that involved the children attending the ceremony. Sasol’s corporate social responsibility efforts in Qatar include a variety of social, educational, entrepreneurial and environmental initiatives. More recently, Sasol brought an acclaimed environmental-educational play to Qatar for the QP Environment Fair, reprising its success last year.